One of the biggest issues that stop people from preordering a PC-powered virtual reality headset is the limited amount of VR content currently available; no-one wants to spend $600 - $800 for a device when there isn't a lot of titles designed specifically for virtual reality. 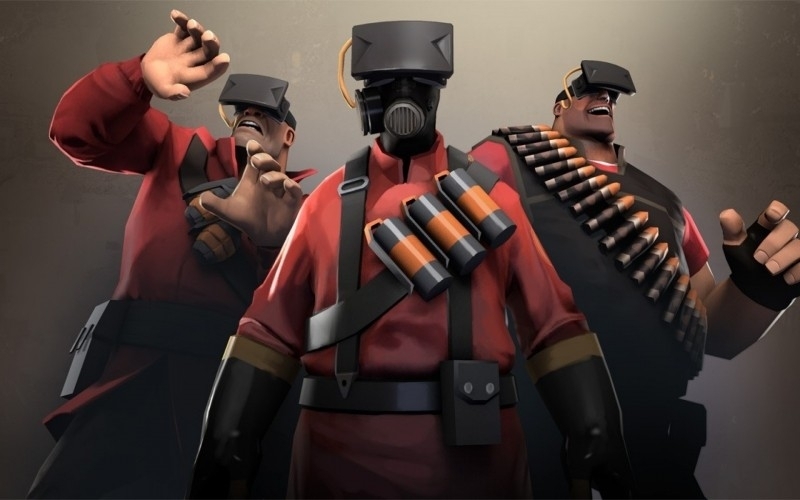 But now, Valve has announced a new mode for SteamVR that, while not exactly turning every game you own into a full virtual reality experience, will still let you use a VR headset with your entire Steam collection: SteamVR Desktop Theatre Mode. Valve hasn’t revealed too much about the new mode, which is in early beta, and there aren't any images or videos of the feature. But it seems pretty certain that the Theatre Mode will, as the name suggests, allow users to play 2D games on a large theatre screen inside a virtual reality environment. "SteamVR Desktop Theater Mode is in early beta, and will be showcased at next week's Game Developer Conference in San Francisco. Desktop Theater Mode enables users to play non-VR games with VR systems such as the upcoming HTC Vive and others,” Valve said in an email. Theatre Mode will likely be similar to YouTube’s Virtual Movie Theatre but the chances are that you’ll also be able to use the standard Windows desktop with Valve’s system. Valve talked about the SteamVR Desktop Theatre Mode three years ago, which was before the HTC Vive, according to the Road to VR. Being able to use a VR headset with every game you own, even in this ‘Theatre’ form, could convince more people to buy one of the devices. At the very least, it would offer an extra way to use the headsets while more VR-specific games get developed. We’ll learn more about the SteamVR Desktop Theatre Mode and the new VR content that’s on its way at the Game Developers Conference which starts today.